During a mission in Niger in 2005 carried out by Jean Ziegler as Special Rapporteur on the right to food he witnessed the plight of children affected by Noma. Ever since, and in particular during his mandate as member of the UN Human Rights Council Advisory Committee, Jean Ziegler has worked to bring Noma to the attention of the public opinion. Ziegler’s aim is to determine states and UN institutions to join the efforts of the few NGOs in tackling this disease which ravages the faces of malnourished children. Jean Ziegler’s work on the issue of Noma has been supported by Ioana Cismas with research and legal advice. Noma (cancrum oris), which borrows its name from the Greek term “to devour”, is an infectious yet non-contagious disease that destroys the soft and hard tissue of the face. The lesion is thought to begin as a localized ulceration in the gingiva or the mucosa of the cheek or lip and to spread rapidly through the surrounding tissues. At the same time, there is swelling of the corresponding part of the face. Untreated, the swollen skin will become gangrenous and will perforate, within a week, leaving a hole in the face. Noma is thought to lead to death in 70–90 per cent of cases. Most deaths are attributed to complications such as pneumonia, diarrhoea and septicaemia associated with severe malnutrition. - Study of the Human Rights Council Advisory Committee on severe malnutrition and childhood diseases with children affected by noma as an example, para 31, citations omitted. The main victims of Noma are children aged 1 to 6 years. Medical studies are unanimous in their findings: malnutrition is one of the main risks factors of Noma. The disease was common in Europe and North America until the beginning of the 20th century where for a long time awareness existed that Noma was related to poverty, malnutrition and preexistent child diseases such as measles (K. Marck, “A History of Noma, the “Face of Poverty”, Plastic and Reconstructive Surgery, vol. 111, No. 5, April 2003, pp. 1702–1707). The economic progress allowed Europeans and North Americans to feed their children sufficiently nutritious to practically eradicate Noma (R.Voorhoeve, “Review”, Bulletin of the Netherlands Society of Tropical Medicine and International Health, vol. 49, No. 1, February 2008, p. 13). In 20th century Europe Noma was mostly confined to Nazi concentration camps of Bergen-Belsen and Auschwitz where the most atrocious abuse took place including concerning food deprivation. (C.O. Enwonwu et al., “Noma (cancrum oris): Seminar”, The Lancet, vol. 386 (2006), p. 148). it is likely that it is much more frequent in remote Asian rural communities than is currently appreciated. - M.L. Srour et al, “Noma in Laos: Stigma of Severe Poverty in Rural Asia”, American Journal of Tropical Medicine and Hygiene, vol. 78, No. 4, April 2008, p. 540. According to estimates released by WHO in 1998, 140,000 individuals contract noma on a yearly basis; 100,000 of these are children. 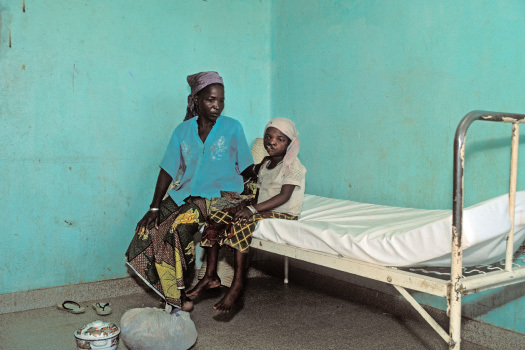 The survival rate is between 10 and 20 per cent, which means that at least 110,000 people, the vast majority of which are children, die every year because of noma. According to the WHO World Health Report 1998, 770,000 persons survived the disease with heavy sequelae. (para 31). The Human Rights Council Advisory Committee has termed Noma in its Study as “the most brutal face of poverty and malnutrition in children” which “thus gives rise to some of the worst violations of the rights of the child.” Perhaps the most tragic aspect of Noma is that it is easily preventable if cost-effective treatment consisting in mouth rinses, antibiotics and nutritious food is administrated early on. Reconstructive surgery performed on survivors can repair the disfigurement and functional impairment which is the certain consequence of Noma. Without reconstructive surgery a “child who survives is unlikely ever to be able to speak or eat normally again.” (D.E. Barmes et al., “The need for action against oro-facial gangrene (noma)”, Tropical Medicine and International Health, vol. 2, No. 12, 1997, p. 1113.) Reconstructive surgery is performed by volunteer medical teams funded by some NGOs and charities. Certainly the main challenges concerning Noma concern raising awareness about the existence of this disease, removing the attached social stigma which stifles action of families and states, and convincing states, UN institutions, and in particular the WHO, to show political will in addressing Noma in a global, coordinated effort. In August 2009 during the third session of the Human Rights Council Advisory Committee, Jean Ziegler presented the study “The Tragedy of Noma“. Jean Ziegler flagged the preventable plight of children affected by Noma and pointed to malnutrition as the main factor of this disease therefore analyzing Noma from a right to food perspective. “The Tragedy of Noma“ was prepared to serve as a background paper for the Study on discrimination in the context of the right to food. This latter Study was entrusted to the Advisory Committee by the Human Rights Council through resolution 10/12 of 26 March 2009. The preliminary and the final Study on discrimination in the context of the right to food both listed children affected by and at risk of Noma as a vulnerable group and as victims of de facto discrimination in relation to the right to food. 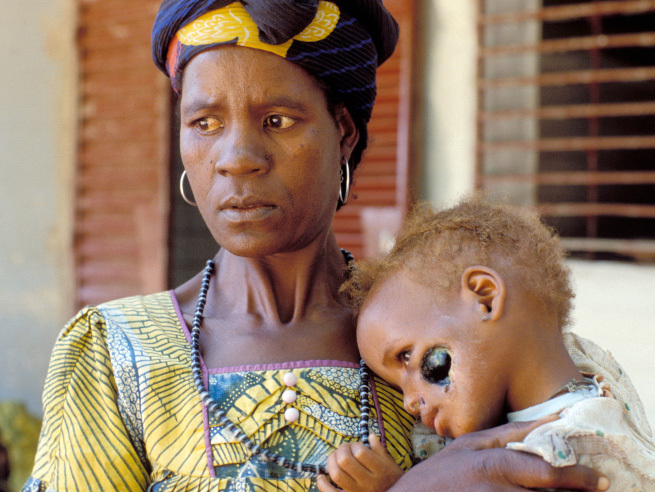 The Human Rights Council agreed with the findings of the Advisory Committee as it mandated it in resolution 16/27 of 25 March 2011, to undertake a comprehensive study on the relationship between severe malnutrition and childhood diseases, taking children affected by Noma as an example, and on ways to improve the protection of malnourished children. Jean Ziegler and his collaborators embarked on a thorough process of research and consultations with NGOs working in the field of Noma, human rights and humanitarian organizations – among which CARE International, Dutch Noma Foundation, Ecumenical Advocacy Alliance, Facing Africa, GESNOMA, Hilfsaktion Noma, Label Vert, Medico International, Noma-Hilfe-Schweiz, Médecins sans Frontières, Sentinelles, Winds of Hope Foundation, No-Noma International Federation – UN institutions including the WHO and the UN Secretary General’s High Level Task Force on Food Security, medical doctors and other individuals. Jean Ziegler and Ioana Cismas attended numerous meetings, participated and organized in conferences in order to both learn and raise awareness about Noma and the importance of a human rights perspective in relation to this disease. Members of the Advisory Committee, some States, and several NGOs have shown great support in this process. A global approach to monitoring the incidence, prevention, treatment and etiological study of Noma is needed beyond the current efforts of the few dedicated NGOs and the WHO Regional Office in Africa, which is tasked with the activities concerning Noma, and develops program only in few countries of the African continent, yet not in other parts of the world. The exclusive focus on Noma in Africa through the WHO Regional Office in Africa is insufficient; therefore Noma should be addressed at the global level. This includes worldwide surveillance, prevention, primary health care, surgical and rehabilitation treatment and etiological study. 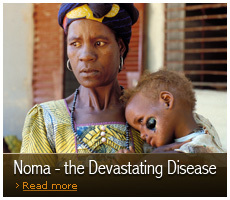 Noma should be formally acknowledged as a WHO neglected disease. States should promote a resolution at the World Health Assembly to list Noma as a neglected disease. 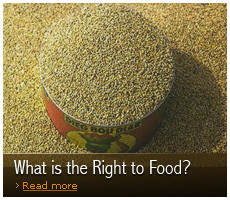 States should implement the Human Rights Principles and Guidelines to improve the protection of children at risk or affected by malnutrition, specifically at risk of or affected by Noma, which are contained in the Annex of the Study. 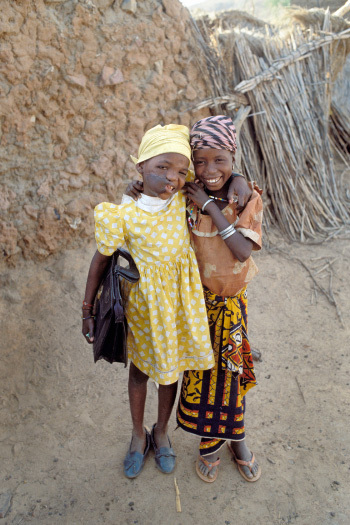 The Human Rights Council in its resolution on the right to food of March 2012 put out an important call to states encouraging them to implement the Human Rights Principles and Guidelines to improve the protection of children at risk or affected by malnutrition, specifically at risk of or affected by Noma. What lies ahead for advancing the fight against Noma is for states and the WHO to address the conclusions of the Advisory Committee and follow the call for action of the Human Rights Council. If you or your organization want to contribute to the future of children at risk or affected by this disease by ensuring that their human rights, including their right to food, are respected write to your Government, your Congressmen or Parliamentarians, to your embassies and missions worldwide raising awareness about Noma and urging them to take action! The Study of the Human Rights Council Advisory Committee on severe malnutrition and childhood diseases with children affected by noma and the annexed Human Rights Principles and Guidelines to improve the protection of children at risk or affected by malnutrition, specifically at risk of or affected by Noma can be consulted here. 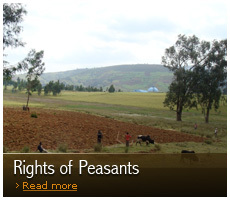 The Study is available also in Arabic, Chinese, French, Russian and Spanish on this website.